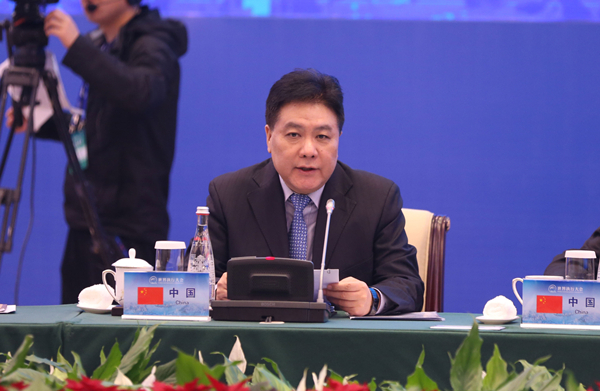 China is now establishing smart courts in all aspects and advancing integration of internet technology and judicial proceedings, according to Liu Guixiang, China's grand Justice of the second rank, at a seminar of the World Enforcement Conference on Jan 22. At a seminar focusing on the future of judicial sales, Liu pointed out that traditional property liquidation was often organized by a third party commissioned by courts. The auction money was returned to the applicant after the auction. Such auctions could only reach a small range of people, took a long time and meant high costs. To avoid such problems, China's courts developed online sales using all typical auction procedures such as auction announcement, deposit payment, bidding and confirmation. Everything is conducted online. The new approach widens the reach of the sales and makes it easier to participate at lower cost. According to Liu, a total of 3,301 courts in China have adopted online judicial sales and more than 940,000 online auctions were held from March 2017 to the end of 2018. Over 270,000 items were traded, with a value of 604.9 billion yuan ($89.19 billion), saving 18.6 billion yuan for the parties. He added that China is committed to construction of smart courts. Already, property investigations, online judicial sales, public disclosure of information and related matters have been conducted online. Liu said he hopes that China's experience will help improve enforcement work in other countries and regions. Also present and delivering speeches at the seminar were Janek Pool, president of the National Chamber of Judicial Officers and Trustees in Bankruptcy of the Republic of Estonia; Anare R. Tuilevuka, judge of the High Court of the Republic of Fiji; Randrianarimanana Tsantatiana Salama, secretary general of the Ministry of Justice of the Republic of Madagascar; Ijaz-ul-Ahsan, justice of the Supreme Court of the Islamic Republic of Pakistan; Hernán A. De Leon Batista, president of the Supreme Court of Justice of the Republic of Panama; and Nguyen Thuy Hien, deputy chief justice of the Supreme People’s Court of the Socialist Republic of Viet Nam.